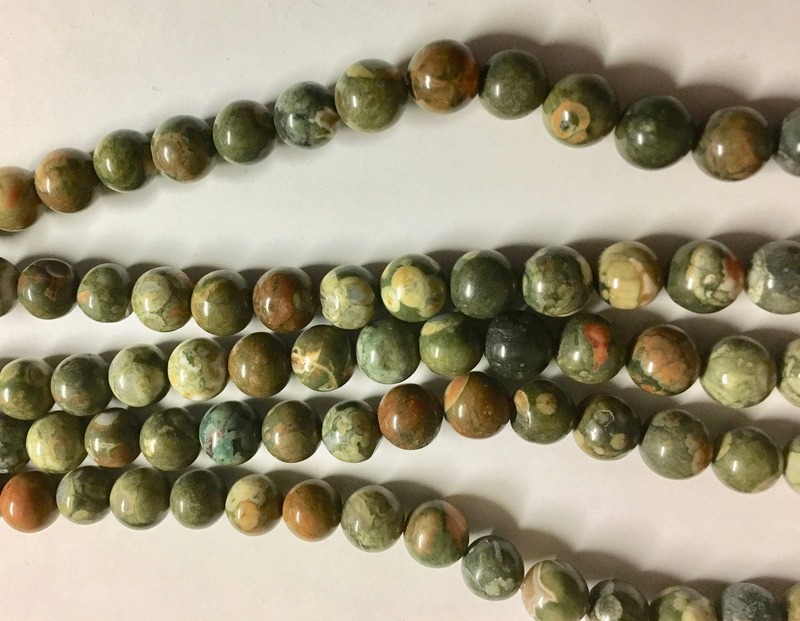 One 8 inch strand of rustic rhyolite gemstone round beads measuring 8mm. Beautiful bands, bubbles and crystal-rich layers that form as lava flows. Composition similar to granite. It is composed of the light-colored silicates, usually buffs to pink in color. There are approx. 23 beads per 8 inch strand.